“Low hanging fruit” – cliche business jargon, but still enticing when you hear it. Is there such a thing left in SEO? I believe so. This is an exercise that I’ve been doing since analytics, rank trackers, and, well, SEO was born. I suspect many SEOs do this already; so I thought for those who haven’t tried this yet (perhaps newer SEOs and digital marketers), it might be beneficial. I find this super useful in not only scoring some quick traffic and conversions through natural search, but it’s also a strong way to kick-off a new campaign while learning about the client’s topics and keyword portfolio. Every query, industry, niche, and vertical engine has their own unique golden triangle. The golden triangle is the area of the search result pages that get the most views, thus provides more context from the titles, snippets, and display URLs. As you’d expect, higher click-through rates tend to happen inside the golden triangle. For this, it’s useful to find out where the sweet spot is for any of your target keywords. Easier said than done! Several studies have provided their aggregated results, but this is purely directional – only Google knows for sure, and they’re not telling. I once worked at an eCommerce search agency where we pulled (and estimated) our numbers as well, which suggested less top-heavy CTRs. So while I think it’s futile to argue about this data, it’s a safe assumption that “higher rankings are better”. And considering how much real-estate paid ads are now taking in the top-center rail, plus the bulk of rich snippets and blended results, I personally shoot for the top 5 as a default if I don’t have data to counter it. Then wouldn’t it be great to figure out which keywords are most valuable to your target page, and currently ranking in position 6 – 10? In many cases those keywords could be moved significantly with some minor SEO work, like on-page and some targeted link building. So I create a “low hanging fruit report” to identify these radioactive keywords. Everyone has their favorite keyword research methods, and I definitely recommend building up a strong list per target page. But in addition to keywords you’re not currently targeting, you want to add what you are targeting as well. But most importantly, you want to add keywords you’re currently getting traffic for (even if you don’t know it). Google took away the visibility, but you still have some sources. 1. 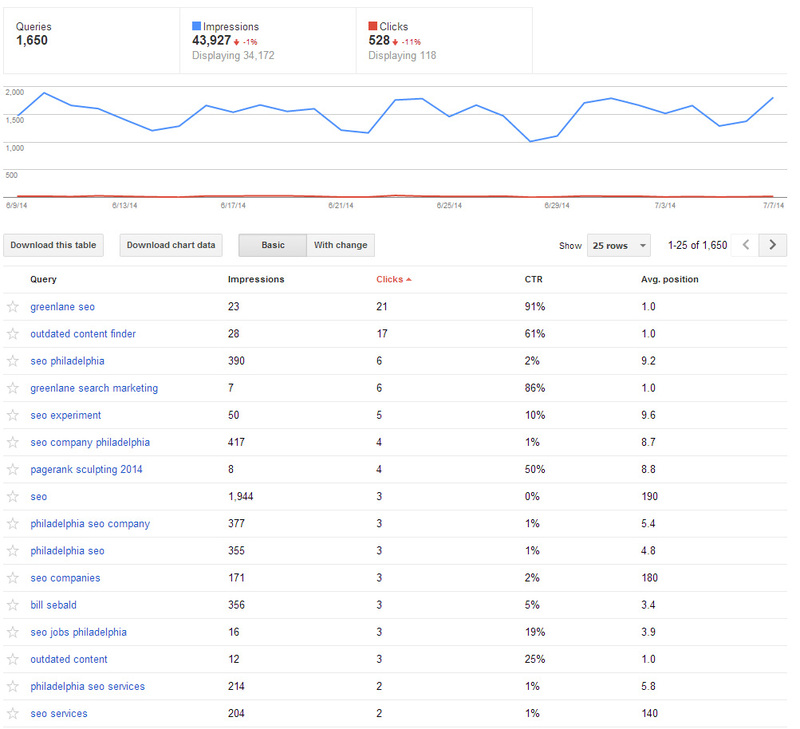 Google Webmaster Tools has a report that, while not as robust as Google Analytics was, it’s getting better. This is a prime spot to see terms that are bringing traffic in natural search. Bing Webmaster Tools also has this report. Throw that data into the mix as well! 2. Analytics may not be as helpful here these days, but it once was. If you’ve been running analytics for years, pre-[not provided], your data is still there. Set your report’s date back a few years and gather up natural search keywords (and data) for keywords that once brought you traffic. You may find out in Step 2 below that these are still valid keywords for you. 3. Competitive tools like Hitwise can be noisy, but SEMrush and Advanced Web Ranking can give you more specific search data. 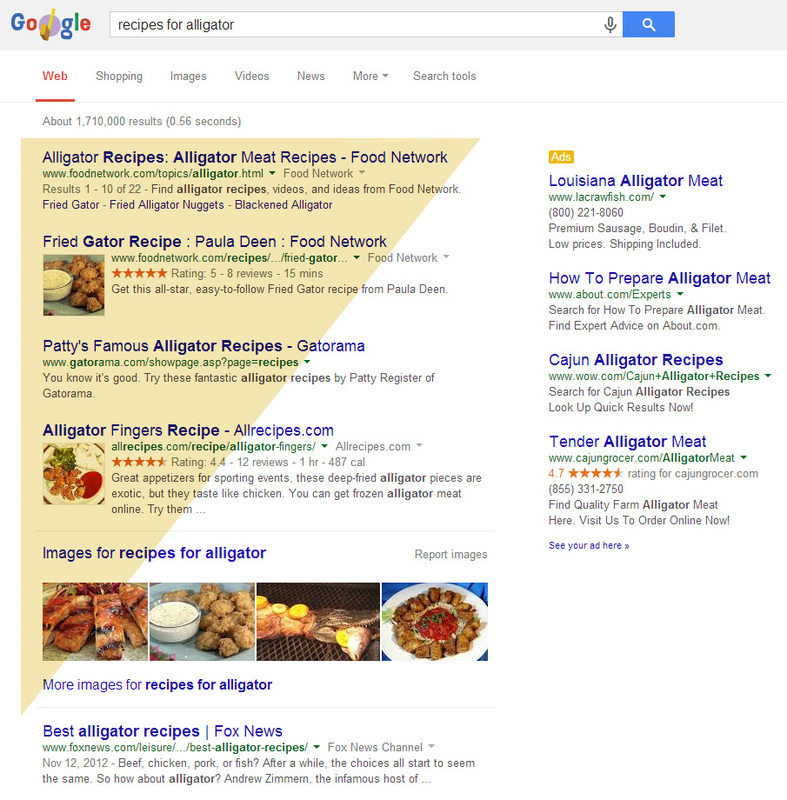 Simply look up your site up and discover terms (and rankings) you may not have known about. Got the keywords? Now qualify each term. This is where Advanced Web Rankings is my hero. Before I discovered AWR (mid 2000’s I believe), I actually looked these keywords up by hand. It was a very painful and limiting experience. 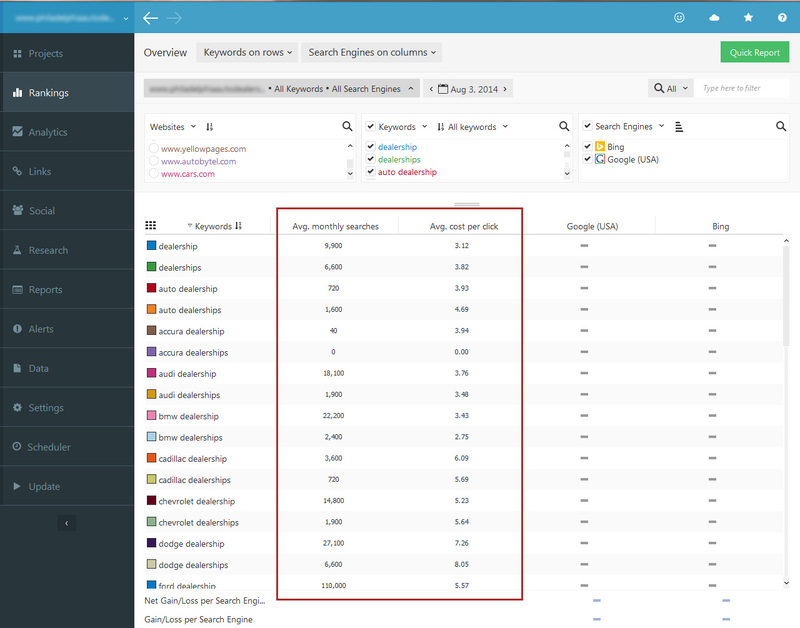 Now, a 10,000 keyword list can be checked en masse, with more data than just rankings. You’ll definitely want to pick up some proxies if you use the desktop version. Depending on the project, I like seeing anything from rankings, estimated search data, CPC info, URLs, current titles and meta, competition, and/or traffic (if I can get it). Useful and fun, and quickly done with a little digging and Advanced Web Ranking. As noted before, these are keywords that often won’t take a ton of work and at a high level appear to be pretty powerful opportunities. How else can steps improve your campaigns?